It was a nightmare no mother wants to see her children go through. 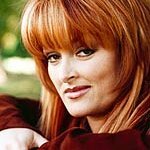 But country singer Wynonna Judd had to put her fears behind her as she hid her children in a storage area under the stairs and then had to hang on to their cubby hole for dear life as tornadoes hit their Tennessee home in February. The concert, held in Leiper’s Fork, raised more than $17,000 for survivors of the storms, said organizer Lynn Fox. The tornadoes that swept across Tennessee on February 5-6 killed 32 people and injured more than 190 in the state. More than 50 people were killed across the southern states. Judd, who lives on an 800-acre farm, said the storm damaged her home, knocked down several trees, and tore off part of a barn roof.